Bobby Harold Holden passed away July 30, in a local hospital after a lingering illness. Bobby was born in Floyd County, Georgia June 7, 1932 to the late William Lee Holden and Callie McCool Holden. He was preceded in death by his son, Michael Holden, brother Vernon Holden and Sister Helen Trotter. After Bobby left the Navy he was employed by Inland Container Corporation and retired after 35 years service. At the time of his retirement he was a Buyer in the Purchasing department. Bobby is survived by his wife, Bonnie Payton Holden .They were married 66 years at the time of his death. He is also survived by two grandchildren, Savannah Rose Holden and Trevor Max Holden whom he loved dearly .Bobby is also survived by a number of nieces, nephews and cousins. He was a Mason and belonged to the Oostanaula Lodge, Yarrab Shrine Temple and Shriners International. Bobby had many friends and loved to visit the beach with his family and get together with his many old pals. He also liked to visit local flea markets and antique shops. Graveside services will be conducted on Thursday August 2, at 11:00 AM at Oaknoll memorial Gardens. 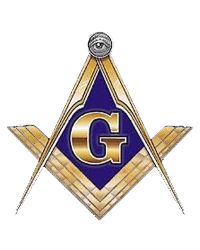 Masonic Rites will be conducted by Oostanaula Lodge #13 and Military Honors will be conducted by the Shanklin-Attaway Post 5 of the American Legion. Pallbearers include his Grandson Trevor Holden and the following gentlemen- Barry Simpson, Michael Stowers, Richie Bearden, Derek Duarte, Jody Payne, Greg Payne, and Brad Payne. Honorary pallbearers includes Alec Burns and Ricky Tolbert. The family wishes to thank the staff of Redmond Hospital, Pruitt Healthcare and Amedisys Hospice for their assistance in taking care of Bobby in his time of illness. Special thanks to his sisters- in –law Juanita Simpson and Shirley Howard for all their help with the Family over the years. In lieu of flowers, donations may be made to the Shriners Children’s Hospital of St. Jude’s Children’s Home.